Dental Implants in Ahmedabad- A Dental Implant is a titanium anchor placed firmly into the jaw bone to hold the artificial teeth. It is an artificial replacement for the root portion of your natural tooth. Implants support a crown, a bridge or secure denture firmly in place. They are ideal option for replacing missing teeth as they last a lifetime. In function and aesthetics, they are very similar to natural tooth. Tooth Loss is a very common problem. Tooth loss can happen because of trauma or fall, decay and extraction or gums problems and bad oral hygiene. When a Tooth falls or loses a tooth, it creates a gap in the teeth due to the missing tooth. You dentist will tell you that the lost tooth must be replaced to ensure gum recession and avoid further tooth loss. Your dentist can replace the missing tooth by a dental implant. A dental implant is the best option for replacement for missing teeth because it provides a combination of functionality and aesthetics which are as close as possible to the natural tooth. It is placed by an expert in Dental Implants called an Implantologist. 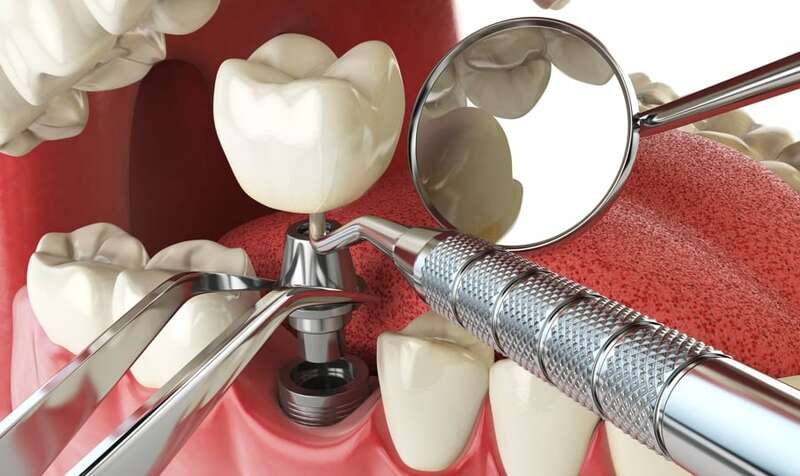 We also provide easy EMI options for dental implants in ahmedabad.